As someone who sneezes quite regularly, it has become somewhat of a joke that I’m allergic to life. When I was at work I would joke that I was allergic to work in the hope that one of the doctors would agree and send me home – of course, they never did (worth a shot). Allergies are, however, not joking matter especially for those who suffer from them. 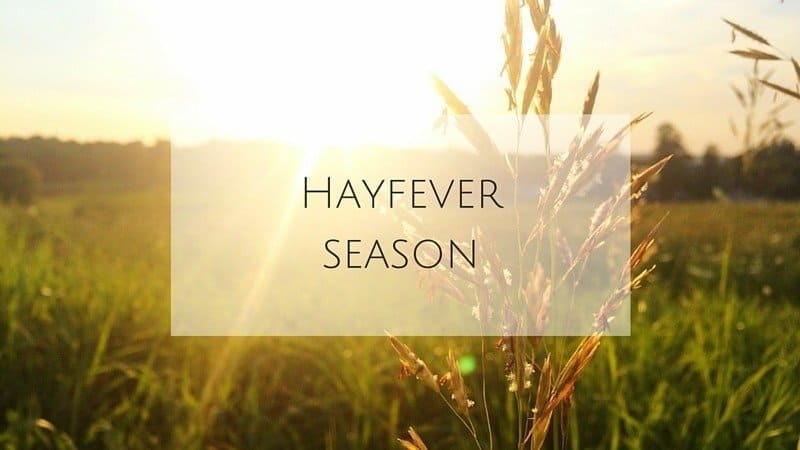 Those suffering from hay fever are often mocked when they complain about it as those who have never suffered from it think that it is just a few sneezes and maybe the odd rub of the eyes. Hayfever , however, can really make your life miserable and force you to become a prisoner in your own home in order to minimise the exposure to grass and tree pollen. Recently I was recommended to try Pycnogenol Supplements, they include natural plant extracts that work as an antioxidant, to help with itchy eyes/running nose and general wellbeing/sensitivities. As is a plant-based treatment I am more willing to try this to see if makes my spring and summer more bearable.